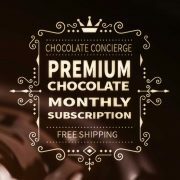 The subscription is $75 a week, you receive 3kg of single origin 100% pure unsweetened chocolate or exclusive access to Origins 72% four chocolate house blend every week,a FREE chocolate dispenser, and wholesale pricing. 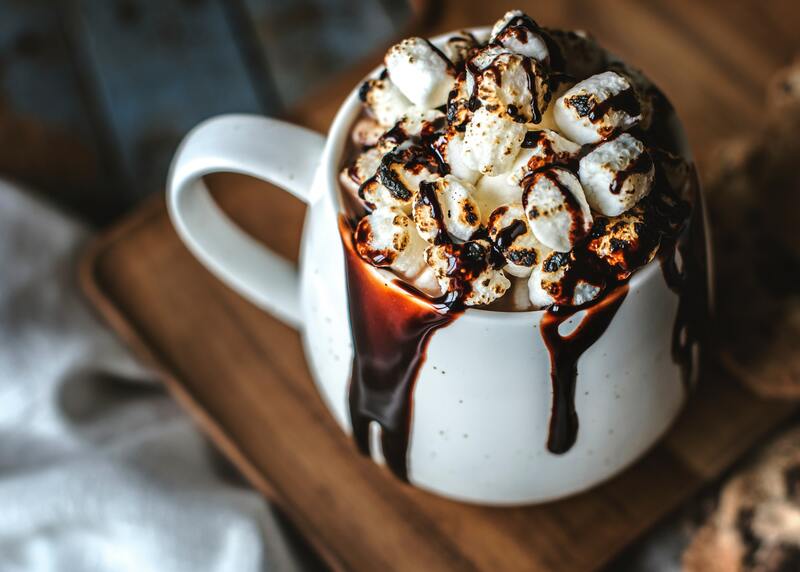 One of the best experiences on a cold winter morning is snuggling upon a couch with your favorite blanket, a good movie, and a delicious cup of drinking chocolate.The only thing that would make that better is a cup of single-origin drinking chocolate from Origin Chocolate. As a business owner, you know that there are certain food items that your employees and customers expect you to supply,whether its coffee, or tea in the break room or drinking chocolate for sale,there are certain items that you need to have on hand. 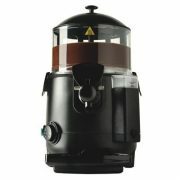 In fact,if your business uses three kilograms of chocolate each week, you are pre qualified for one of our hot chocolate machines, supplied absolutely FREE, used in conjuction with your steamer on your coffee machine you will have the ability to create the finest single origin drinking chocolate available,or serve up delicious shots of pure chocolate for your customers delight,drizzle fresh,real chocolate over breakfast and desserts,you can even use the machine to temper small batches of chocolate for your own wild creations. 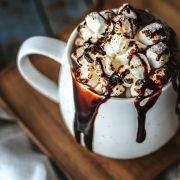 Try using plant based milks serve it hot or cold,use the pure chocolate and let your customers decide on what sweetener to add,perhaps coconut or maple sugar maybe monk fruit or go traditional. The options are endless !!! 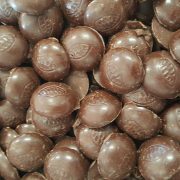 This is the real deal 100% pure cacao chocolate buttons,that you simply melt using the supplied machine. DID YOU KNOW THAT 95% OF THE POWDERED DRINKING CHOCOLATE ON THE MARKET IS OVER 70% SUGAR !!! You get a FREE Chocolate Dispenser,valued at $800 when you sign up to a 12 month subscription,you will receive 3kg of chocolate buttons every week,either the 100% pure or exclusive access to Origins house blend,at a discounted manufactures price and free shipping anywhere in Australia. 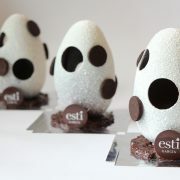 Our chocolate is the finest and healthiest chocolate on the market today. 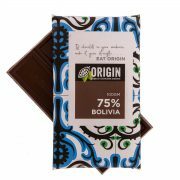 Origin Chocolate is made from two ingrediants and is actually a fruit. 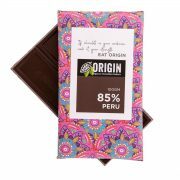 I have established direct trade relationships with cacao growers ensuring they are paid a fair price whilst they build local and sustainable businesses. 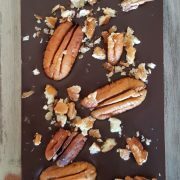 Orign Chocolate is made in Orange NSW,using a full bean to bar process ensuring freshness and quality. The process to build flavour involves a slow roasting technique and longer conching time to ensure the chocolate has developed its own all natural full flavour potential. 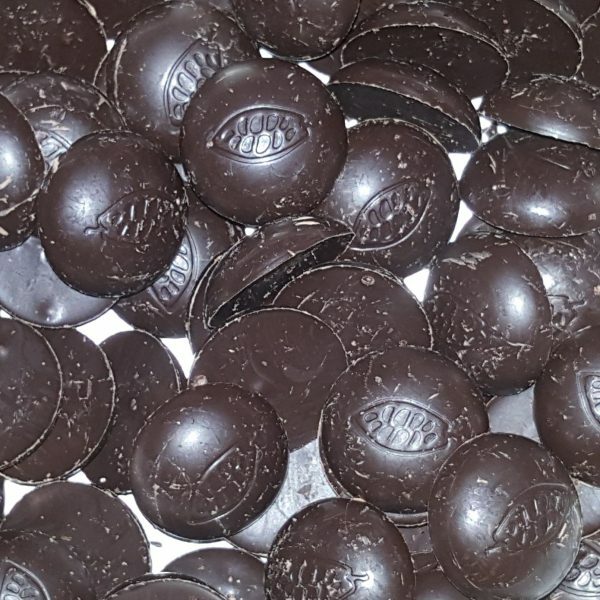 Unlike industrial type chocolate there is no palm oil added which means Origin does not contribute to the destruction of the natural habitat of the Sumatran elephant and orangutans. There is no soy lecithin in my products.The problem with soy lecithin is, that its produced using a genetically modified ingrediant (soy beans) and the lecthin is then extracted using a chemical process using hexane and other hydro carbons. Who wants to eat that. 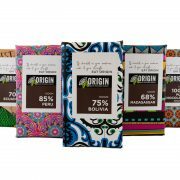 Origin Chocolate is also carbon neutral,I’ve recently fitted out the plant with solar panels.So the power i need to run my machines that make your chocolate comes from the sun. 67% of the recommended daily allowance for Iron. 89% of the recommended daily allowance for Copper. 98% of the recommended daily allowance for Manganese. 58% of the recommended daily allowance for Magnesium. 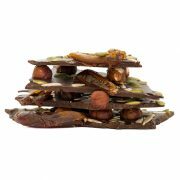 It also contains lots of potassium, phosphorus, zinc and selenium. There are organic compounds in dark chocolate that function as antioxidants. Antioxidants prohibit nasty chemicals called “free radicals” (which you take in from breathing oxygen) from damaging your body. 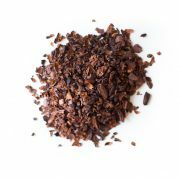 One study showed that cocoa contained more antioxidants than other fruits they tested, including some antioxidant powerhouses like blueberries and Acai berries!